Stockholm Fashion Week is in flux. 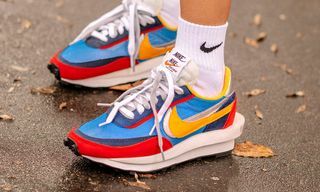 While Sweden’s fashion industry — said to reach $36.7 billion in 2019, according to Statista — isn’t short of globally recognized names including fast fashion group H&M, fashion darlings Acne Studios, Filippa K and Our Legacy, and emerging labels like Eytys, Polar Skate Co., its capital’s bi-annual fashion week has never been able to reach that same global reach or impact. 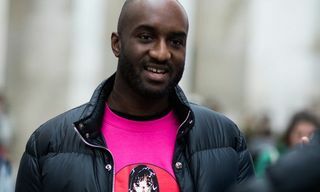 Partly to blame are H&M’s absence from the fashion week calendar in totality, Acne Studios showing during Paris Fashion Week and the lack of blockbuster names filling the hole left behind by these absentees. This time around the schedule was even slimmer with neither Eytys, Our Legacy, Polar Skate Co., nor popular minimalist womenswear label Totême showing their collections during the week. This season’s reorganization of Stockholm Fashion Week itself equally led to the fairly empty calendar. What’s more, Swedish labels Rodebjer, J Lindeberg and Stand heading down to rivalling Copenhagen Fashion Week, which was held the week prior. Copenhagen, in part, has smartly been able to monopolize Scandi fashion by attracting crowds around its two big tradeshows, CIFF and Revolver, while maintaining international buzz around labels like Ganni and Cecilie Bahnsen, as well as its growing influencer scene. How it will evolve for the seasons to come is to be seen, as it will need some bigger excitement in order to survive. That said, there were a handful of young menswear talents that successfully got the opportunity to showcase their FW19 collections, and Highsnobiety visited them to see how they delivered. Kicking off the week was L’Homme Rouge, which for its latest outing explored a narrative of generations coming together. The way that L’Homme Rouge’s creative director Jonatan Härngren interpreted that was through a lineup of oversized plaid tailoring with paired fisherman hats, grandpa knits and fuzzy dad-like fleece. That was the mature part. 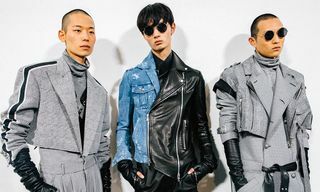 His younger counterpart wore beanies, dark sleeveless sweatshirts made from organic cotton and soft-hued workwear made from a fabric created out of plastic bottles. There was also a reduction of logoes, from L’Homme Rouge to L’H R, spread out on multiple garments throughout the collection. It was highly wearable, and desirable that is. “Our kind of core inspiration is really Swedish. There’s just something about all that old Swedish craft items you saw in your grandparents home when you were a kid,” says CEO John-Ruben Holtback post-show. Sad Boys, the brainchild of Swedish internet sensation-turned-rapper Yung Lean, only dropped its first merch collection in September 2017 at New York’s V Files, yet it’s already become wildly popular among Sweden’s young burgeoning rap crowd, who are drawn to the brand’s graphic-heavy hoodies, t-shirts and accessories and noughties-like bling. 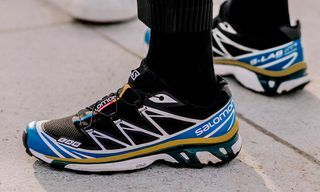 It became so popular that Converse partnered with Sad Boys on its One Star trainer and H&M was even accused of copying one of Sad Boys Gear’s graphic tees. That hype couldn’t be found in Lean’s latest collection. 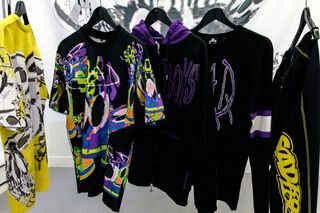 Instead Lean and his team opted for a empty gallery space with five pieces of clothing on a rack, a Joker-like balaclava with the word SAD on the front, two metal belt buckles, and a logoed, diamond-encrusted chain. It was a missed opportunity. Part of the allure around Sad Boys is its ability to cultivate a community of like minded Swedish kids that find pride in a scene that’s homegrown, not Americanized. An underwhelming gallery without music, a decent range of clothing and without Lean isn’t what’s going to take the brand to the level it deserves to be. 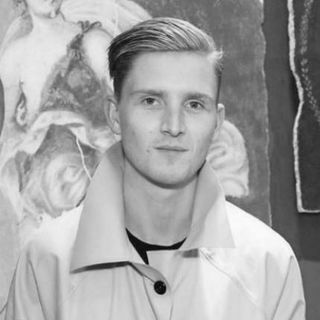 Scandinavian Man founders Jonas Bergström and Konrad Olsson launched their platform showcasing Nordic brands, personalities and principles a couple of years ago and today includes a print publication, a website and a radio show. Meanwhile it organises exhibitions and has a brick-and-mortar and online shop selling Scandinavia’s best designers. A fashion show was next up. 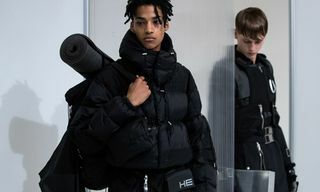 Titled Outdoor Urban, the platform showed a mix of Scandinavian outdoor brands including Helly Hansen, ECCO, Peak Performance and Tretorn. The result was a well-curated, and styled, showcase in-line with the trends seen on the runways of London and Paris. 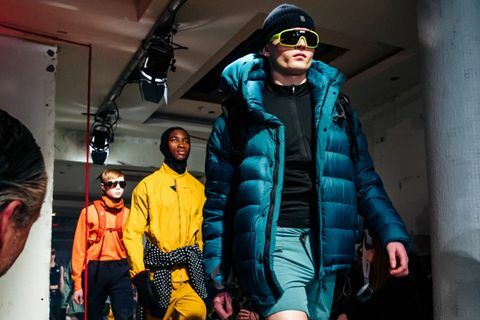 Think utility vests, cycling sunglasses, bright puffers, technical anoraks and short shorts. Given Sweden’s outdoor culture, the clothing was more than just fashion fluff, it was actually practical so it made sense. Scandinavian Man knows what it’s doing. 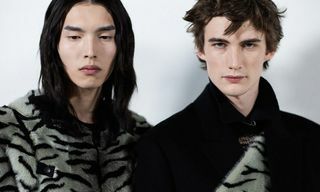 Swedish-born, London-based menswear designer Per Götesson already presented his FW19 collection during London Fashion Week Men’s last month, but it took him to bring the collection to Stockholm’s Nordic Museum for the collection to come alive. Set against a backdrop of a giant statue of Sweden’s king Gustav Vasa, who ruled the country during a time of prosperity in the early to mid 1500s, Götesson re-showed a crafty collection that took inspiration from the king’s namesake fleet. That meant reconstructed denim made luxe, broken bottles and old photographs made into shiny brooches, lighter holders crafted into tiny boats made out of wireframe and metal beer bottle caps dubbing as playful closures for trousers and jackets, all made in collaboration with jewelry designer partner Husam El-Odeh. “There’s this romanticism of holding onto things and this empowerment of making things,” says El-Odeh. “We want to make the discarded precious,” adds Götesson. And in that respect they succeeded. She’s only in her second season but Swedish designer Selam Fessahaye drew a crowd, at least the biggest one of the week. And those who were fortunate to make it weren’t let down. From the color-blocked striped pyjamas to the chinoiserie oversized suiting to the eye-catching jacquard ball gowns worn by twin models Elizabeth and Victoria Lejonhjärta and the tapestries that covered the floor with giant leopards representing strength, Fessahaye got it right. “I make clothes for anyone, it’s the stuff that makes you happy,” says Fessahaye minutes after he show. It was also political. As a black women in Sweden, Fessahaye admits, everything is political. Her latest outing proved that there’s a new talent rising in the capital. The show was a clashing of cultures, it was gender-bending and it was impeccably cast. It was everything a luxury fashion house in 2019 should be making the norm, and one that Fessahaye is pioneering, her own way.